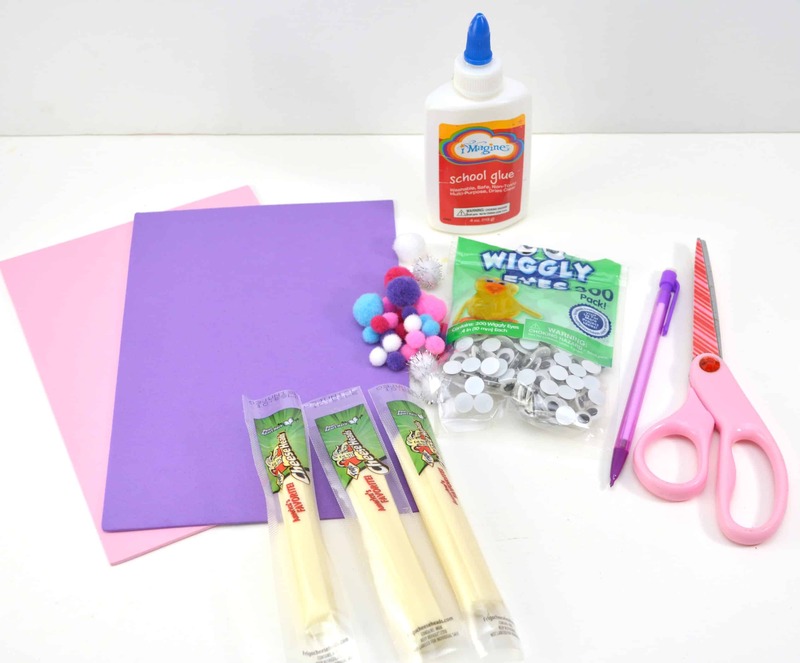 Draw the shape of two small bunny ears on a piece of craft foam. 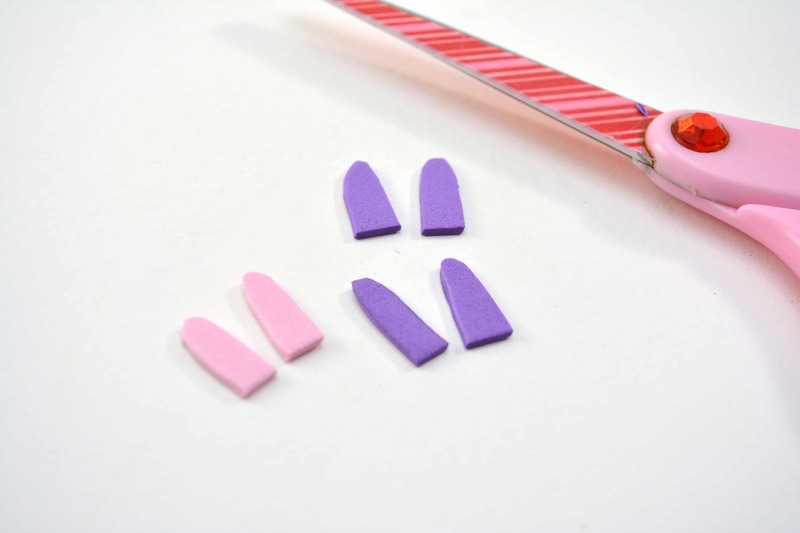 Cut out the bunny ear shapes from the craft foam with scissors. 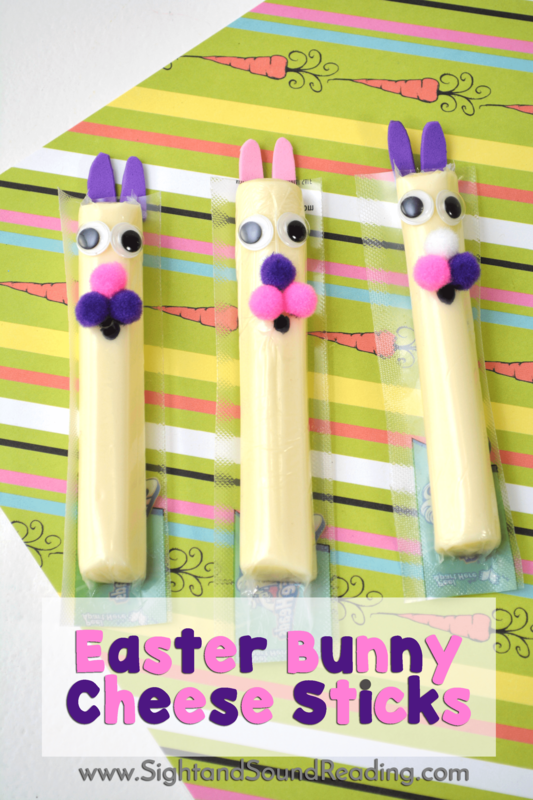 Glue two of the bunny ears to the top of the back of the cheese stick, so that the rounded part of the stick is facing up. 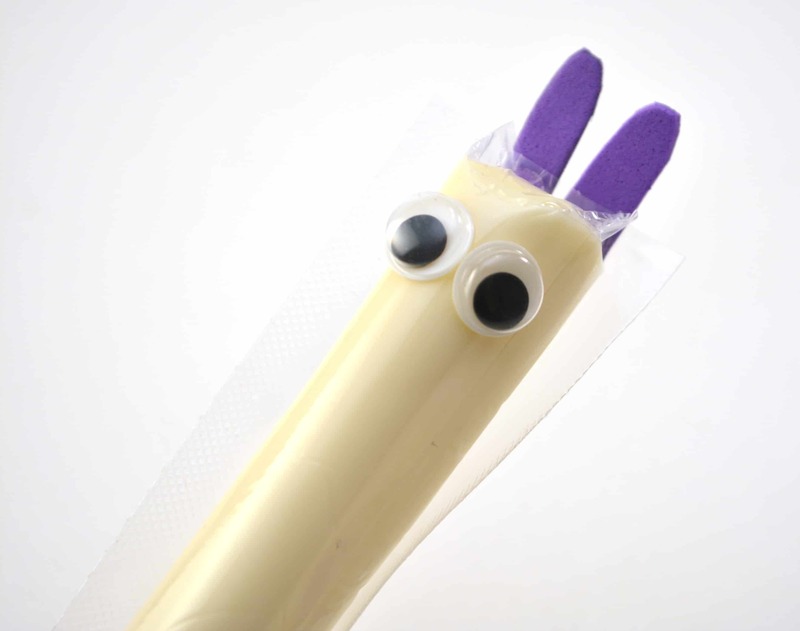 Use glue to attach two googly eyes to the front of the cheese stick. 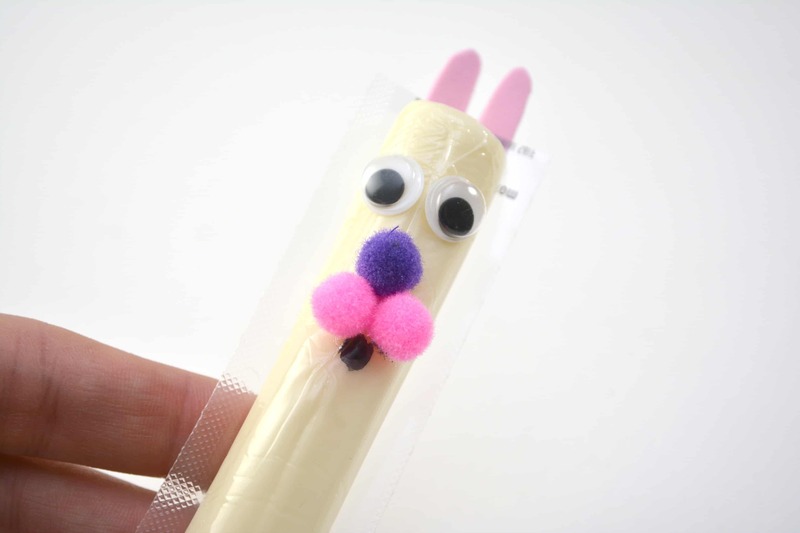 Under the eyes, glue one small craft pom pom for a nose. 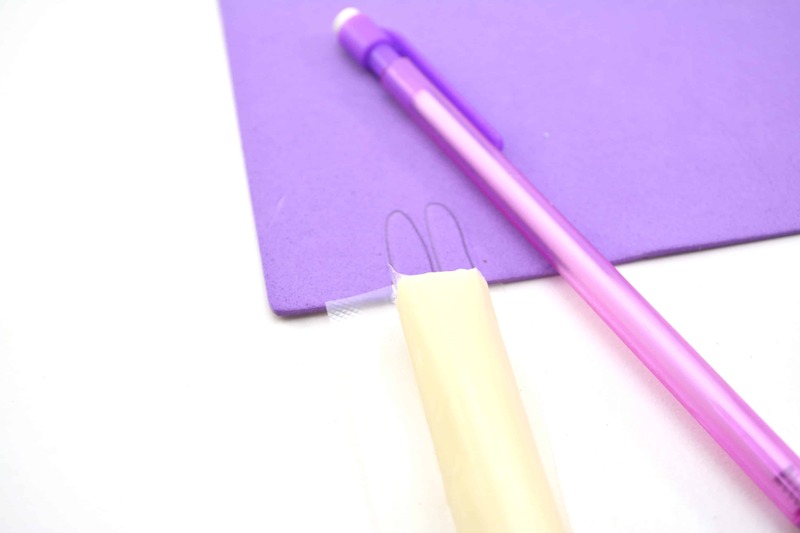 Glue two other small craft pom poms just below the nose, one on either side. 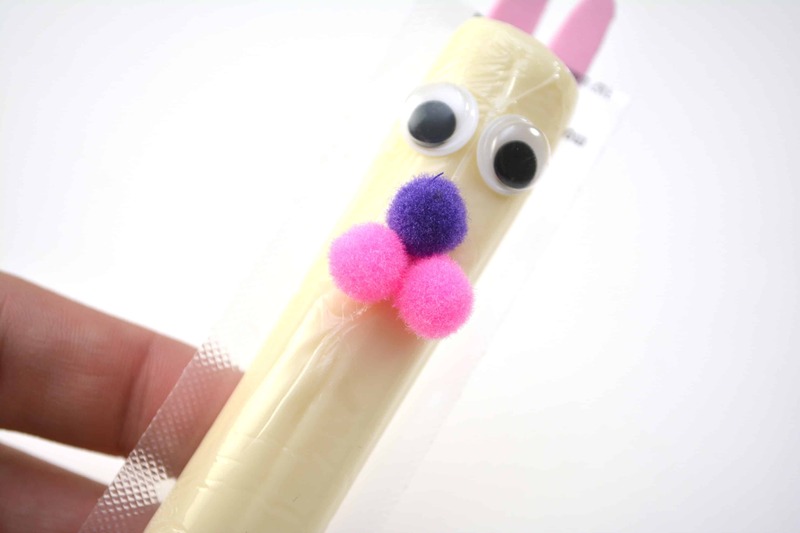 Use a sharpie to draw a small semi-circle mouth below the nose of the bunny.